Berlin's MOD Devices has taken a new approach to multi-effects processors with the Duo, an open-source pedal that invites users to make their own combinations of effects, synths, amp sims, tools and more. These new sounds are created using the company's plugins (which will be continually expanded, says MOD), and the pedal's web-based interface allows entire pedalboards to be shared and downloaded with fellow users. I’m Gianfranco Ceccolini, the CEO and Founder of MOD Devices. If you are a guitarist, bassist, keyboardist, vocalist or if you play any other instrument and you're into effects, synths, loops or any other audio processing devices you're at the right place. "Why can't we have a device that works like a multi effect, has the ease-of-use of pedals but can be fully customized as a computer?!" I started to look around but at that time, in 2008, nothing like that was available. That's basically how it all started, then came an awesome Kickstarter campaign, then more friends joined the team and the community and after a few years here it is: the mighty MOD Duo. Tried and tested by hundreds of guitarists, bassists, keyboardists, vocalists and even accordeonists. who use it at home, at their studio, on stage and even when they go on holiday. Is this available locally in the Philippines? this is interesting. upping your thread. it would be great if this was brought to the country. 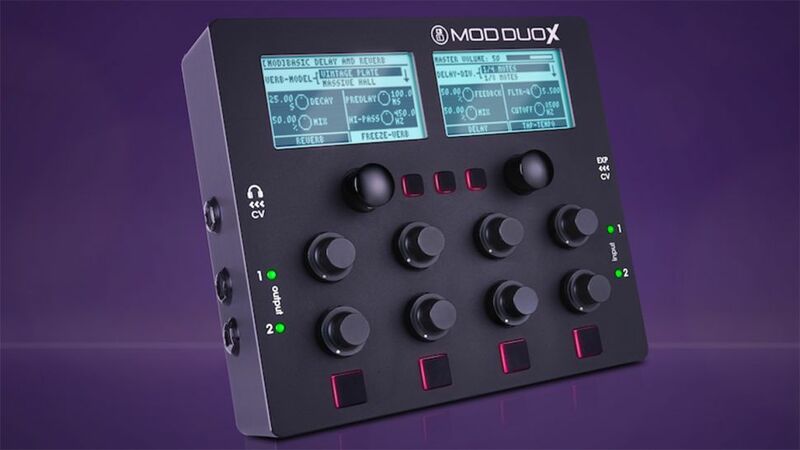 MOD Devices will be showing off its latest audio-processing unit, the MOD Duo X, at this year’s show for the first time. 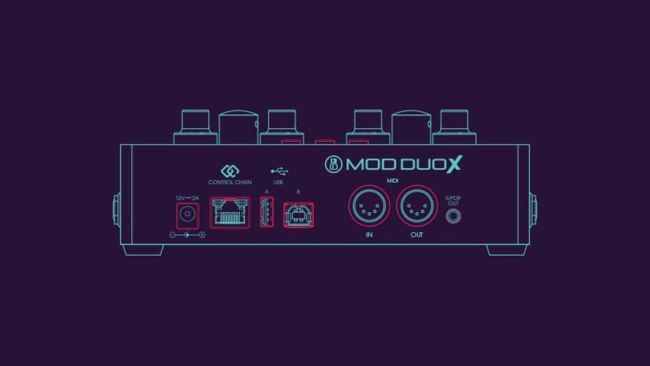 Building on the same ethos as the MOD Duo pedal, the X is a fully standalone, Linux-based audio processor that can host an “infinite number” of effects, virtual instruments and MIDI devices. The new unit is housed in a slightly larger unit than before, with more physical controls, but still retains the two large graphical displays. Two encoders, eight potentiometers and four pads adorn the surface, all of which are freely assignable. The I/O has been improved with two additional CV ins and outs, joining the 1/4 -inch jacks, MIDI in/out, Control-Chain RJ-45, USB Host (2.0 Standard A-type supporting USB Wi-Fi and USB MIDI) and USB Device (2.0 Standard B-type supporting USB Ethernet adapter). Under the hood and the processor has been beefed-up with a Quad core ARM Cortex-A53, 1.5GHz processor giving you the power to run a dizzying array of additional free and commercial plugins, available in the MOD plugin shop. MOD Devices are already taking pre-orders for the Duo X, priced at $/€699 and we hope to have a closer look at the show, so check back next week as we bring you all the coverage from the show floor. If you can’t wait that long, then head over to the MOD Devices website for more info. Bad Behavior has blocked 85723 access attempts in the last 7 days.